I RECEIVED a number of private messages expressing disappointment by some fellow South Africans following the publication of last week’s column. They were disappointed in me because, in their view, I did not seem to live in the same world as everyone else. I have to admit that the column was a deliberate attempt on my part to break the seemingly endless stream of negative discussions and, in particular, move away from commenting on the madness we see happening in our public institutions. It was also a response to a dear friend from the SABC (yes!) for me to find really positive things to say about our beautiful country. No one can easily deny that there are many positives about living in South Africa. But you would also be foolish to believe that if things keep going the way they are, we would not wake up one day to find even the remaining positives gone, stolen while we slept in the stillness of the night. The thing is that one doesn’t have to search too far or too hard for negative news in South Africa. The media headlines are astounding: commodity prices have dropped and the mining sector is now considering massive job cuts; the steel industry continues to hurt and, as things stand, there are no indications that it will be protected from the Chinese onslaught. It is also not helped by the global slump in steel prices. On the unavoidable public sector side, and according to reports, the schoolteacher doubling up as South African Airways’ chairperson continues to cause havoc in the management of our national carrier. Other board members and the airline’s executive management fear Dudu Myeni because of her tendency to brandish a Zuma-branded veto card on everything she opposes. All she needs to do, we’re told, is to name drop – and not just any name – and claim that she was recently on the phone with “Number one” and his view on a particular matter is that a particular route should be taken. She’s also the chairperson of the Jacob Zuma Foundation – but there is no conflict there, of course! In the meantime, we wait for the appointment of yet another brave South African professional – ready to be eaten alive – to the position of CEO of SAA before another turnaround strategy is developed and implemented. While we wait, watch this space and brace yourselves for another application for a future bail-out. It’s an open secret that SAA’s wage bill is too huge to be funded from operations alone. Not willing to be outsmarted, PetroSA has decided that it will be the next big story. With a reported R14.9bn loss in the past year alone and all sorts of unexplained infighting following the suspension of two key executives just two months ago, things are not looking good. Now, Nonhlanhla Jiyane, the interim chairperson, has decided to call it quits. She’s reported to be in a disagreement of sorts with Sankie Mthembi-Mahanyele, a political big hitter who is also the chairperson of the Central Energy Fund, to which PetroSA reports. For the moment it all boils down to “this one said this and the other one that”. Mthembi-Mahanyele is reported to have told Business Day: “Yes, I did receive (Jiyane’s) resignation today but I am yet to study it.” It must be a very long resignation letter to read. And then there is the Passenger Rail Agency of South Africa (Prasa). Where does one start on this one? Having decided to join a long line of state-owned companies without a permanent CEO, following the very recent firing of Lucky Montana (or is it an ‘early termination of contract’? ), Prasa is now in the spotlight for contributing to the growing negative public sentiment about how parastatals are managed. Montana did not do himself any favours by trying to defend Daniel Mtimkulu, Prasa’s chief engineer who has now resigned, after he was exposed as having lied about his qualifications. His post-dismissal claims that Mtimkulu was good at his work – locomotive size notwithstanding – might have merit elsewhere, but the point here is that Mtimkulu lied to Prasa and to the rest of us, SA’s taxpayers. He therefore obtained his employment fraudulently and thus compromised Prasa’s corporate reputation. All of these unhappy developments are relevant and deserve to be in the spotlight and receive public criticism because they inform our outlook of where we are at as a country. Sadly, they also provide fodder for those of us who will gladly use them as an excuse to justify racist views about competence and the running of economies. 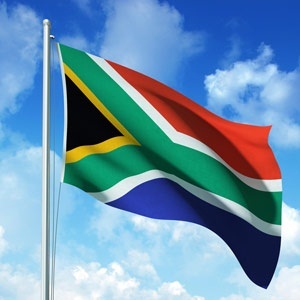 The government and people entrusted with board and executive management responsibilities right across our economy – in the private and public sector – have a role to play in making the rest of us happy contributors to the development of South Africa. What we see happening around us, however, is definitely not the way to go.